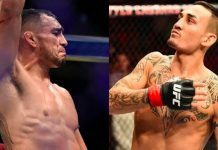 If things had gone according to the original plan, Tony Ferguson would have battled Khabib Nurmagomedov for the UFC lightweight title in the main event of UFC 223 last Saturday night. Regrettably, Ferguson sustained a freak knee injury while going about his UFC 223 media obligations, and was replaced by Max Holloway, who was later replaced by Al Iaquinta. 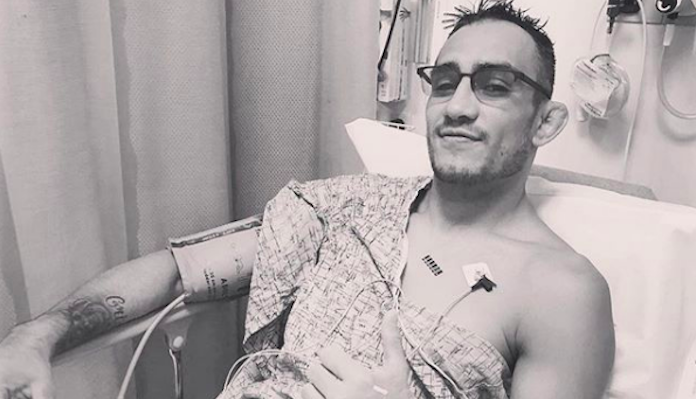 On Monday, Ferguson went under the knife to repair the injured knee that forced him out of UFC 223. Shortly thereafter, he shared a photo of his post-surgery wound to Instagram, and let’s just say it’s going to leave one hell of a scar. 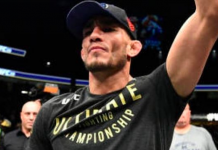 Tony Ferguson has not fought since October, when he captured the UFC interim lightweight title with a submission win over Kevin Lee. With this win, he extended his current streak to a ridiculous 10-straight. Other highlights of this streak include triumphs over former champion Rafael dos Anjos, Lando Vannata, Edson Barboza, Josh Thompson, Gleison Tibau and Abel Trujillo. Ferguson is currently 23-3 overall. 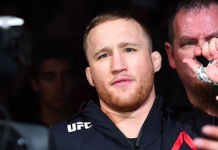 While he is likely to be on the sidelines for quite a while, he remains one of the top contenders in the talent-rich UFC lightweight division. 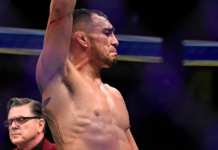 Who do you want to see Tony Ferguson fight in his return to the cage?